Pumpers Dancewear Size Chart Where your imagination becomes reality! Chest: Measure around the fullest part of your chest under the arms. 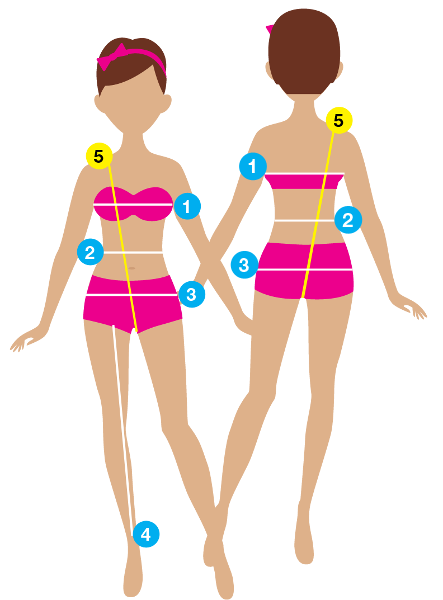 Waist: Measure around your natural wasit, generally above the bellybutton. Inseam: The length of the inside of the leg: from the crotch to however long you would like to garment. if you measure to the ankle, the garment will only come to the ankle. Torso: Taken from the center of the shoulder, down the front of your body, through the crotch, and up the back of your body and back to that same shoulder. Make a complete circle.